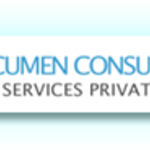 Acumen Consultancy Services Pvt. Ltd. is a professional web development and offshore outsourcing company based in Kolkata, India. We provide different services like Web Design,...Read moreAcumen Consultancy Services Pvt. Ltd. is a professional web development and offshore outsourcing company based in Kolkata, India. We provide different services like Web Design, HTML/CSS conversion, web programming, application development, quality testing, Mobile Apps and SEO. These are the main departments in our company. Acumen offers a wide range of technical expertise that includes website application development, portal development, e-commerce websites, flash programming, software development, intranet/extranet designing, search engine optimization, , web marketing, Mobile Apps and more... you name it, we do it!.